What is a transaxle yo-yo? A transaxle is a term used to describe the inner axle parts of certain Player yo-yo’s. Basically, transaxles are a plastic sleeve or spool that is placed over a steel axle. The string is then double looped around the spool and the result is a mechanism that increases speed and performance. The transaxles are great intermediate to advanced level yo-yo’s and are designed for players with some experience yo-yoing. Unlike the auto-return yo-yo’s like the Brain, the Transaxle yo-yo’s will not return automatically. Instead they rely on the player to manually cause return by inducing a flick of the wrist or jerking motion upward. Ok, Now that you know how the transaxle yo-yo works, let’s see if we can solve what’s causing your grief. Below are some common problems experienced with these types of yo-yo’s and with them some solutions. Not good, but here are some reasons this may be – from the most obvious to the more remote. 1. Remember the transaxle is not an auto return yo-yo, so you must give the yo-yo enough energy in the throw to allow it to return. So, if you’re just dropping it down, try giving it a harder throw before trying to get it to return. 3. Lubricant – when the yo-yo’s leave the factory they have a small amount of lubricant on their axles. This lubricant allows for a more responsive yo-yo. After long use, this lubricant needs to be replenished. To solve this problem, place a small drop of Brain Lube on the axle (you must take the yo-yo apart to do this). If you don’t have Brain Lube you may substitute with a small drop of mineral oil. Please Note: DO NOT use any type of spray oils, they are harmful to the yo-yo and it’s plastic. 4. 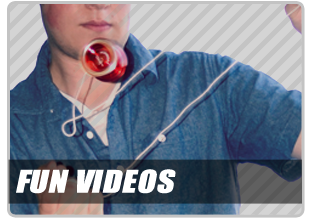 Frayed or worn string – sometimes transaxle yo-yo’s will have a hard time returning if the string is worn down and dirty. In this case, try putting a new string on it – but remember the double loop method when you do! 1. Back to the throw – just like the yo-yo won’t return unless you throw it hard enough, it won’t sleep for the same reason. Remember, in order to get the yo-yo to sleep you must get the transaxle to spin properly and the only way that happens is to give it a hard enough downward throw. 2. String thing – perhaps the string is knotted or pinched around the axle. 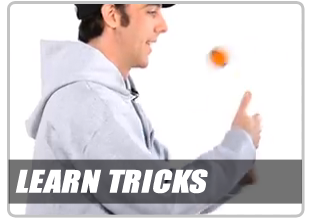 You’ll know this is the case if the yo-yo snaps back rapidly to your hand. If so, take the yo-yo apart, remove the string or knot, put the yo-yo back together and then restring it using the double loop method. My yo-yo is making some loud noises! This is almost always due to a lubricant issue. To correct it, just put a drop of Brain Lube on the axle – and bye, bye noise! 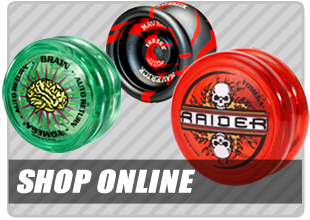 Most parts are available in our online store. If not, give us a call at 1-800-338-8796 and we’ll find it for you. Check Out Our Kandama Facebook page Here!